What? 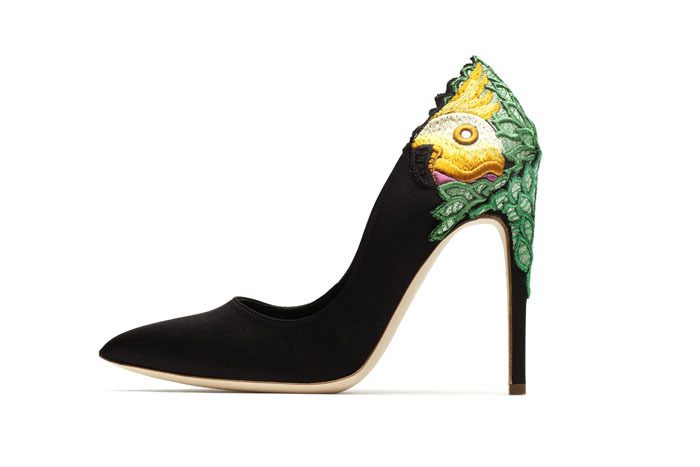 British designer Rupert Sanderson has recently unveiled his latest collection of shoes, entitled “Spring has Sprung”. Every shoe in the new collection is named after a daffodil, the Spring/Summer 2013 collection’s inspiration. To celebrate, the designer also commissioned a heel created from over 100 types of daffodils supplied by R.A. Scamp for the launch party, held with champagne partners Piper-Heidsieck.